The answer depends on what it is you are trying to prevent. You can prevent unauthorized persons from opening your project. This can be implemented from the graphical user interface (GUI). You can prevent project data from being modified (e.g. accidental changes to worksheet data) . As of Origin 2015, there is no GUI access to these protections so the user will need to issue some simple LabTalk commands. Select Tools: Protection: Protect Project from the main menu. 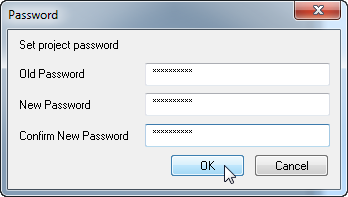 In the Password dialog, create a password. Subsequently, when someone tries to open the project, they will be prompted for a password. This applies to any method of opening the project, including by appending to an existing project file or by attempting to open the file programmatically. This method may be all that many users need. If you share a laboratory workstation and simply want to prevent a co-worker from accidentally opening your project file and modifying it, this method should suffice. A second type of protection was implemented in Origin 9.1. These protections, applied and administered via various LabTalk commands, are aimed at preventing accidental or unauthorized changes to worksheets or workbooks in the Origin project file. … you would protect data, sheet structure and prevent sheet deletion. This removes all protections on the current worksheet. If this is a concern you can establish a password-protected Admin mode for the entire project that prevents unauthorized persons from issuing these LabTalk protection commands.